November is upon us once more—the month of Thanksgiving! 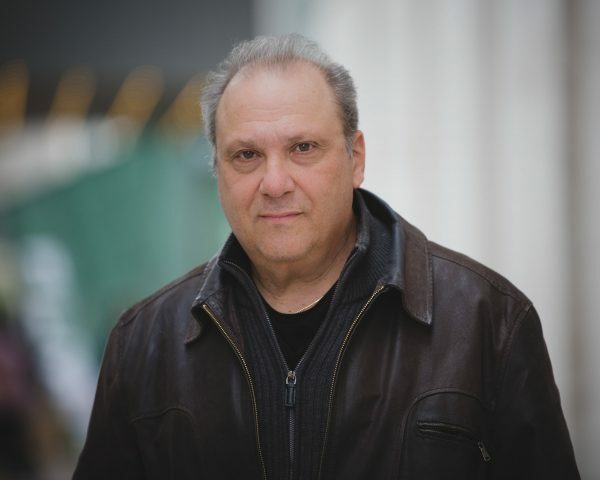 We at 3RP are thankful for a plethora of things—like getting to work with veteran author and playwright, Richard Vetere. Vetere is the author of The Writers Afterlife (Three Rooms Press, 978-0988400887, 2014) and The Third Miracle (Carroll and Graf), which was adapted into a film starring Ed Harris and Anne Heche, and produced by renowned film maestro Francis Ford Coppola. Richard’s latest play Lady Macbeth and Her Lover was staged in this summer’s NYC International Fringe Festival. He is currently directing a film of his screenplay The Hipster Zombie Apocalypse with principal photography beginning in 2016. 3RP: So, Richard, what are you reading right now? RV: Nothing specific. However I do look forward to the Arena section of the Wall Street Journal every Saturday/Sunday for the book reviews. Books on my shelf are John Keegan’s A History of Warfare, Caravaggio: A Life by Helen Langdon, How We Die by Sherwin B. Nuland, A World Lit Only by Fire by William Manchester, The World’s Religions by Huston Smith, Young Men and Fire by Norman Maclean, Delmore Schwartz by James Atlas, and Smiley’s People by John Le Carre. That’s quite the list! Let’s talk about your upcoming book, Champagne and Cocaine (Three Rooms Press; 978-1941110294, due out in May 2016). What were your reasons for creating it? How did you decide to start writing it, and what kept you motivated to finish it? I was in a meeting with an actress/producer and we were talking about my life. I mentioned the crazy things that happened to me in the eighties and she quickly said, “That is a story you should write.” And I did. It was as simple as that. Amazing how a simple conversation can spark so much. More generally, as a writer, what makes you want to write? I am a storyteller, and have been since I was a teenager—though I wrote a lot more poetry then and into my twenties. After that I found that I had many stories to tell about myself. Perhaps because I am a writer I see my life as a story, or maybe my life has been interesting enough to write about. I also believe when I was younger I was a Virgil. Now, I have matured into a Homer. I am telling many stories always; in some ways they are all about my own experiences. You say your work has matured along with you. Looking back, do you have any advice for new writers? Write what you want but spend half your time going out into the world and meeting people. Create a network of people who are working in the industry. Continue to write. Then read everything you can. Go out into the world and make sure people read you. Find the agent who can change your life. Find the producer or publisher who can change your life. Today there is the double-edged sword. There are more people out there aware of writing, but there are a lot more bad writers who are out there clogging up the works. Thanks to technology there are easier ways of meeting people, but there are also so many more people out there who aren’t for real. Lastly, write what you want. Write every day for hours. Find the story that means the most to you and then get it out there. It may not be the story that changes your life but then again, it is the one you needed to write to get to the one that is. That’s some stellar insight. Thank you for that. Do you have any writing rituals? I need to get at least nine hours of sleep a night before I can write. I go get coffee, read the paper, walk and then write. Though I am fortunate enough to be able to write anytime—anywhere in the world. And I firmly don’t believe in writer’s block. Never had it. I have had the opposite problem. I have so many stories to tell there doesn’t seem to be enough time since I also act and direct. Got any current projects you’re working on? My play The Wall was just done in workshop and now we are continuing to read it after my rewrite. We are working to get a star attached. I am directing both the stage and film version of my own script The Hipster Zombie Apocalypse with a reading on November 16 at Theater for the New City. I completed a new novel, and now I am close to completing another new one. I have a poem I wrote when I was only twenty-three being published in a national literary magazine for the first time: “Caravaggio.” I got cast in a short film and just completed work on a web series I was acting in. What do you for fun that’s not writing? Keep up to date with the publication of Champagne and Cocaine by following Three Rooms Press on Twitter or Facebook. Follow Richard Vetere on Twitter @RichardVetere. Richard’s playlist from the making of Champagne and Cocaine. Anything from the eighties. Music then belonged in clubs like Visage, The Red Parrot and Studio 54. It had to have a driving beat and easy to move to.